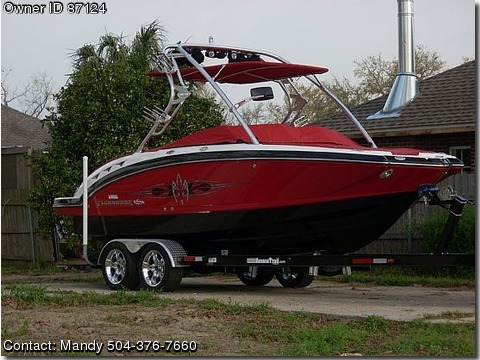 This boat was purchased at the 2008 New Orleans Boat Show. It has primarily been used for joy riding and to pull my 15 yr old son and family behind it on the tube, wakeboard, and skis. We have enjoyed this boat so much, but we ultimately want a fishing boat. Each time this boat has touched the water, it has been washed and flushed out. If you have any other questions, feel free to call me or email me.